The average wedding in the US produces 62 tons of CO2 and 500 pounds of waste. That’s an insane amount once you multiply it by the over 2.5 million weddings that occur every year. Thankfully, people are becoming more and more environmentally conscious. Green products and designs are trending in home décor, fashion, and makeup! But what do you do when your clients want to go beyond just being eco-friendly? What if they don’t want to generate any waste at all? Your clients could make their wedding more manageable by shortening the guest list and doing away with event decor. But there are ways to have a zero-waste wedding without sacrificing the elements most important to them. 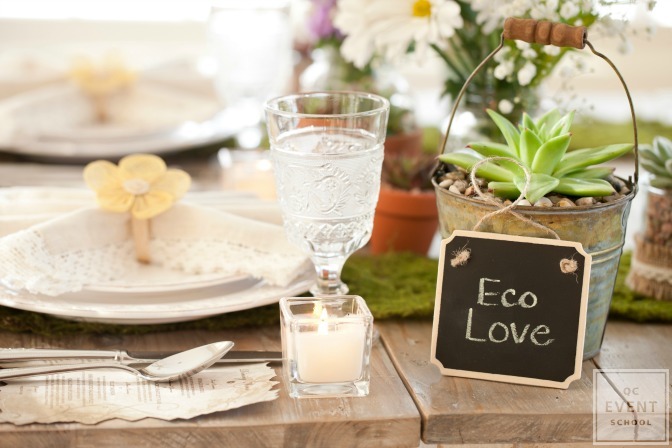 Keep reading for our guide to throwing a zero-waste wedding this summer! 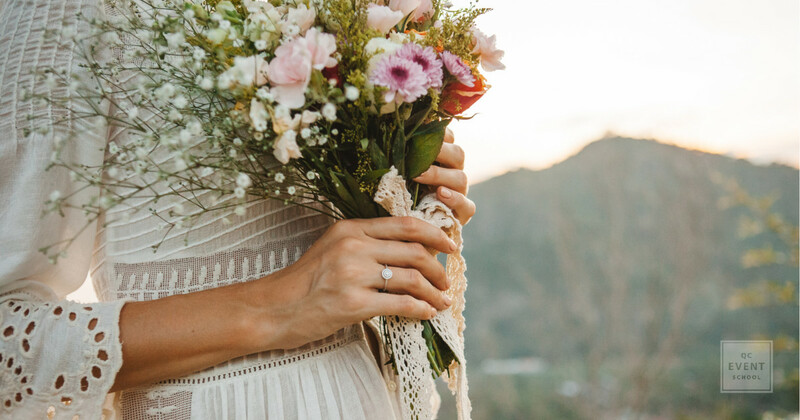 It’s easier to host a zero-waste wedding in the summer. To save on electricity and air conditioning, host the event outside. If the reception happens during the day, you won’t have to hire lighting and you’ll save on power costs. If the event carries on into the night, consider solar lights that absorb sunlight during the day. They will add a romantic glow to the evening festivities. Your clients may not ask you about attire, but great client service means that you are able to offer advice if it’s wanted! 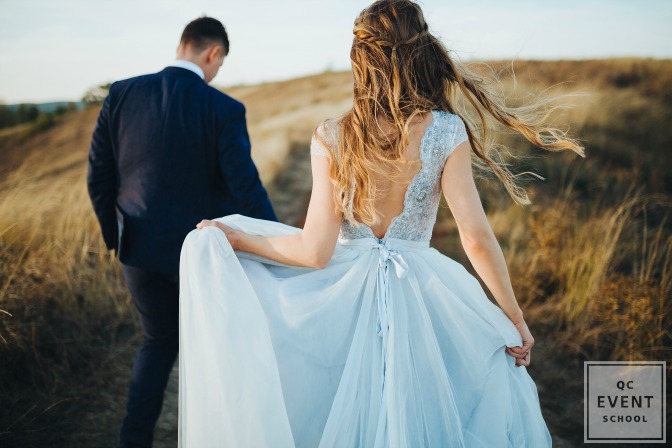 Here are some helpful tips to help your happy couple find zero-waste attire for their big day! Although it’s probably taken care of by this point, the zero-waste philosophy can apply to rings, too! In this case, heirloom rings are the best. Besides looking unique, they’re also sentimental. Inheriting much-loved items in the start of a new beginning is a beautiful thing! However, some rings may not have stood the test of time. They may not suit your client’s style, be too worn, or are the wrong size. Your clients may choose to melt their ring or multiple rings together. This new ring could take on a modern style while still maintaining its sentimental value. Other options include buying vintage rings or conflict-free rings. Brilliant Earth sells sustainable, ethically sourced gemstones set in recycled gold and platinum. They even donate 5% of their profits to aid those involved in the blood diamond industry. Chic and a great cause! Most wedding dresses are elegant, customized, and expensive. Buying a dress to wear once isn’t keeping with the green ethos. Some wasteful Wendys have taken to trashing their dress as a way to celebrate the occasion… ending in danger and disaster. To save both money and the planet, the zero-waste route involves buying the dress second-hand. Some tailoring will create the perfect fit and make the bride feel radiant on her special day. Sometimes, it’s just not possible to buy a pre-loved dress or inherit one that suits the bride’s taste. In this case, you could suggest purchasing a dress that she could wear again. Compliment a more simple style with a vintage veil and jewelry to elevate the look. Suits are more versatile than a white wedding gown. Grooms are in luck! Creative swaps or looking beyond the traditional tuxedo means that he can wear the suit time and time again. Grooms can look into renting their suits if they are going for a specific look. Tailored tuxedos aren’t cheap. This is a great way to ensure that they look and feel sharp on their big day without generating any additional waste. Plus he’ll save some money! Food and beverage waste is problematic at weddings. This is especially true when it comes to plated meals! Plated food is always thrown out at the end of the evening. So, what are your options? Keep reading! A popular option for catered meals is a catered buffet. It’s often a budget-friendly favorite. Look for a caterer who already has partnerships with local animal shelters or a food rescue program. If they don’t, and your clients want to ensure their food doesn’t go to waste, you could discuss composting options with the caterer or the venue. Instead of handing out useless party favors, you could set up a buffet station with sweets and/or salty snack foods. Guests could then scoop what they want into mason jars to take home after the reception! The best way to serve alcohol and other beverages without waste are to do it in bulk! Instead of individual cans of beer and bottles of wine, opt for kegs of wine and beer from local breweries and wineries. Return the kegs after for re-use! This may not suit every reception. In fact, some venues may even have policies against them. Make sure you do your research! To boost the event’s summery vibes, make sangria or fruit punch in large batches. Just ensure you label them so young attendees don’t get their hands on the boozy sangria! Stay away from glitter and confetti. Balloons are also a no-go. 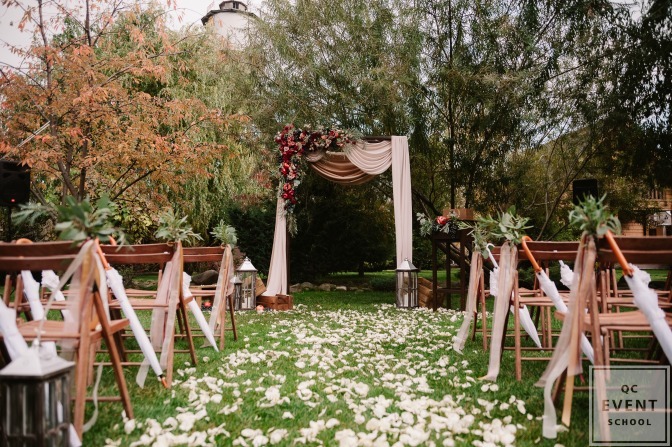 Thankfully, popular rustic weddings mean flowers have become quite popular. 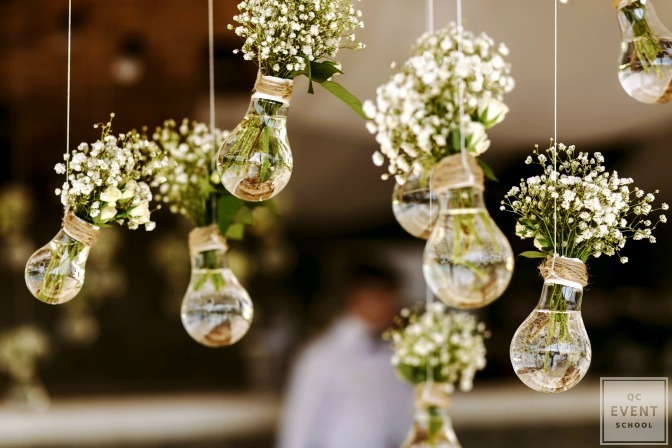 Trendy wedding décor could just consist of beautiful flower arrangements. 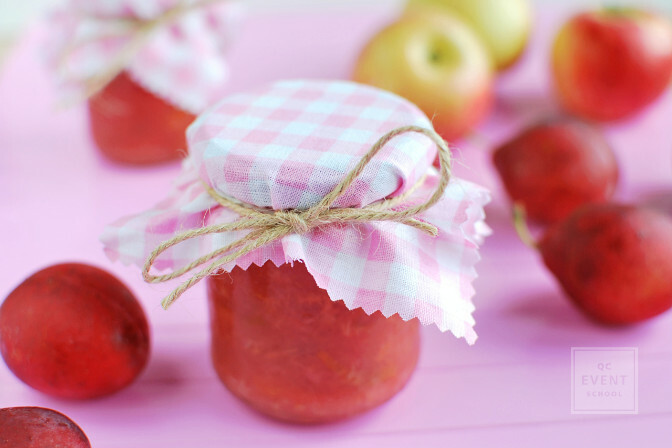 If your clients have time, they could organize a foraging party. From the beach to the forest, there are lots of organic materials to use in décor. Wildflowers, leafy twigs, and seashells add color and femininity to décor. After the event, you can compost the flowers, or return them to where they were found. Stay away from ordering out-of-season flowers if your clients don’t have access to wildflowers. Buying flowers from local farmer’s markets ensure they are in-season and haven’t caused pollution from transportation. Potted plant centerpieces can be brought home as party favors or replanted in your clients’ garden if they have a green thumb. They could even dry the flowers and then use them in gift wrap later on, or DIY potpourri as thank you gifts later on. Otherwise, you could look into donating the flowers. Donating them to local hospitals or nursing homes can brighten up patients’ or residents’ days. If you arrange it ahead of time, they may even be able to swing by and pick them up after the event! Printed items include invitations, menus, and seating cards. It’s difficult to organize a large reception without any printed materials giving directions, the schedule, or menu items. Some aspects can be digitized, but sometimes you can’t avoid it—as in the case of place cards. Here are some DIY options for your creative clients. Encourage your clients to take to email! E-vites may not be as formal as mailed invitations, but all the waste that comes from mailing save-the-dates, actual invitations, and RSVPs back and forth is quite a lot. Your clients can use a nice photo or draw a simple graphic to scan and turn into a card. Of course, elders and those who may not have access to computers will still need paper invites. For those, recycled paper invitations with plant-based ink or seed papers reduce their ecological footprint. For dinner tables, print off simple menus using the eco-friendly paper and inks mentioned above. However, not everyone needs one—every two people can share a menu! You could also purchase a large re-usable chalkboard to display the menu when guests enter the venue. This is also a nice décor touch! Use vegetable-based inks on some of those foraged pieces of nature. Shells, rocks, leaves –whatever suits the décor of the wedding best. At the end of the night, they can take them home with them. Or, because the inks are completely bio-degradable, you can return the objects back into nature as well. Need more inspiration for the upcoming event you’re planning? Here’s where to look!